Kavna, the beluga whale that inspired the beloved children's song "Baby Beluga" by Raffi, died from a possible cancer-related illness on Monday afternoon at the Vancouver Aquarium. The 46-year-old whale spent her life in captivity, according to the Vancouver Sun, but lived well beyond the life expectancy of her species. 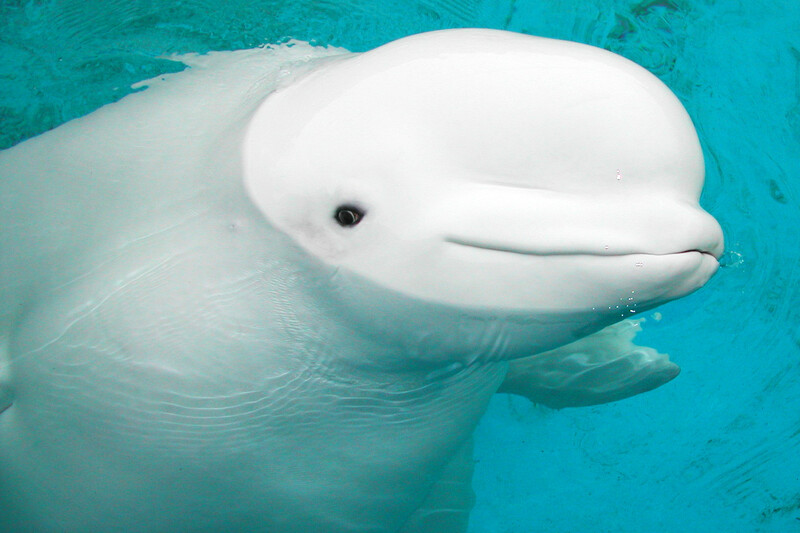 Aquarium workers told The Canadian Press that belugas typically live 25 to 30 years, and that Kavna may have been even older than her estimated age. After conducting a preliminary autopsy, aquarium veterinarian Dr. Martin Haulena told reporters that he uncovered a series of cancerous lesions that indicated a recent and quickly spreading cancer. "Right now, the lesions are most consistent with a cancer, and that is unfortunately a disease we associated with age," said Haulena, "So we're looking at a great life for a great whale who had almost nothing wrong with her." Raffi recalled his first interaction with Kavna in an interview with News 1130 in Vancouver. "The folks at the aquarium brought me to poolside and the trainer helped me to play with Kavna. Kavna even came out of the water and placed a gentle, graceful kiss on my cheek and I couldn't stop talking about it for a couple of weeks!" "She was just so beautiful," Raffi told the Sun, "She was so playful and she had a very pure spirit and you could swear she smiled at you." "On a day like this, I'm mostly thinking about the joy of knowing Kavna and the profound impact of the close encounter that would not have been possible in any other way," he told News 1130. CLARIFICATION: This post has been updated to clarify in the headline that Kavna was the inspiration for the song, but was not "Baby Beluga."